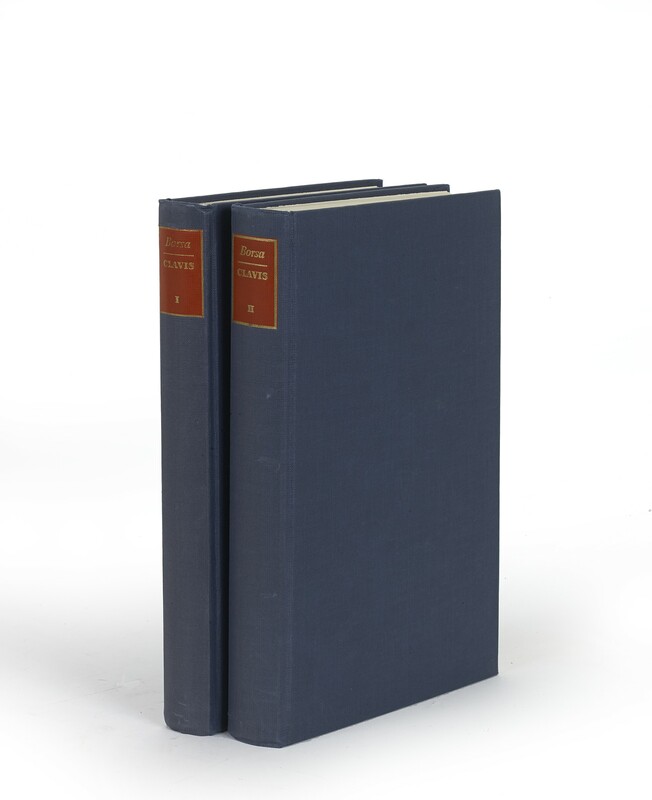 Two volumes (24.5 cm), I: 356 (2) pp. II: 469 (3) pp., with folded map in pocket of volume II. Uniform publisher’s blue cloth bindings. - The whole of the first volume is an alphabetical list of names (vernacular is given priority over Latin), followed in brackets by variant forms, earliest and latest known dates of activity, and place or places of work. The number of names provided by Borsa is much larger than in the dictionaries of printers previously compiled by Fumagalli, Ascarelli, and Cosenza. 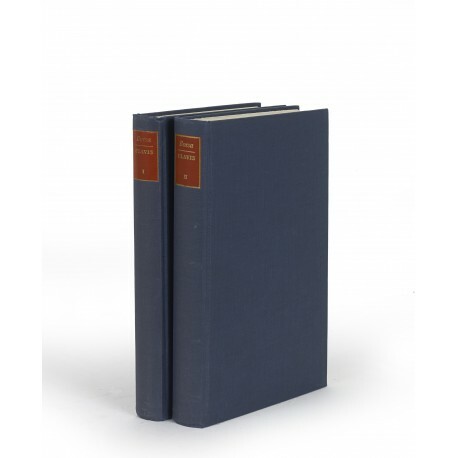 The second volume is in two parts: the first is organised chronologically (1465-1600), and then by town, and lists the printers active in each year; the second part is organised by town, and lists the printers in chronological order. There are six appendices in the second volume, of which the most useful list persons falling outside the scope of the main index (e.g., financiers and apprentices, arranged alphabetically and followed by the town name) and places where printing was done exclusively with characters other than those of Latin (i.e., with Armenian, Cyrillic, Greek and Hebrew characters). Preliminaries in German, Italian and Latin. Publisher’s retail price €160 (www.koernerverlag.de). ¶ Superior copy in new condition.